With a qualifying order, you may also be entitled to Stampin’ Rewards. See all the details below. 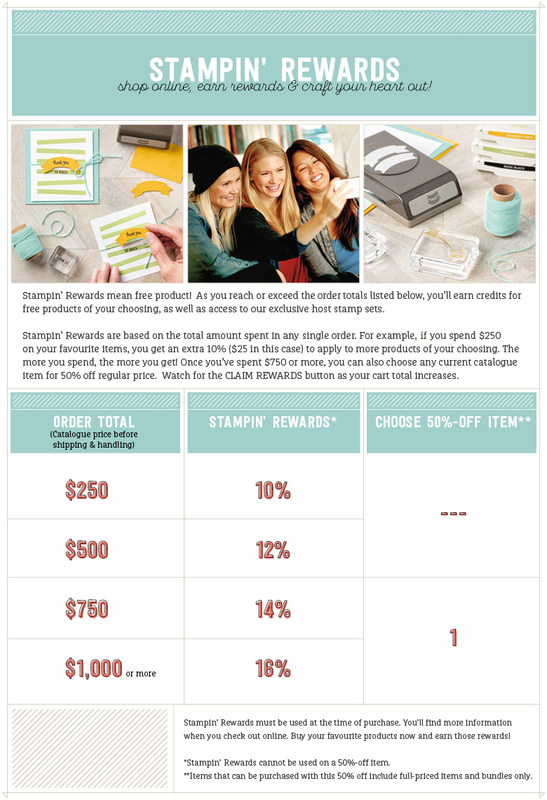 If you are ordering more than $169 worth of product, and think you might continue to order over time, it might be worth considering joining Stampin’ Up! for even more benefits. I’d love to have you as part of my StampingPals team. Click here for more information.